House in Tillford: H&M Australia: It's Here! Well almost. The site is up and running and the Melbourne store is due to open in April. For me, H&M is a provider of trendy, fashionable clothes at affordable prices. And by affordable, I mean under $50. So when approaching the site, that's what I wanted to see. I must admit I went in a little skeptical, based on the disappointment of Zara's unveiling in Australia. At first glance, a lot of things looked "mumsy" and nothing stood out as a bargain. But I decided to let go of the negativity and looked deeper and these are some of the cheap finds that I came across. 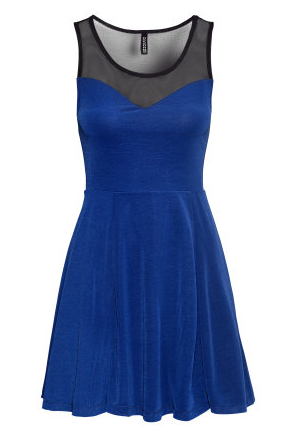 This blue jersey dressed pictures is a right bargain, priced at $12.95. Also comes in black and pink. My only concern is that jersey material may look tacky/cheap in real life. 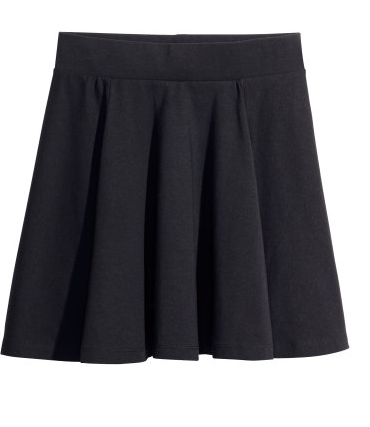 This skirt to the right is also priced at $12.95 and is a cute little basic item to go into your wardrobe that you can throw on and dress up for work or dress down for a day at the shops. 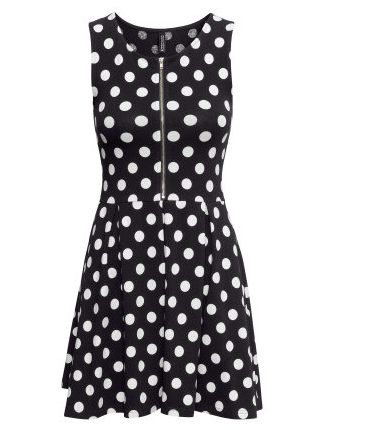 I love polka dot print, hence the inclusion of this cutie. Priced at $19.95. These were the cheaper finds that I could find. But I did find some others I liked and am looking forward to seeing what else they have to offer. Hoping they bring a store to Sydney, or at least offer free shipping for the rest of us non-Melbournites! Super stoked that they are finally in Australia - discovered them in the UK a few years ago and have been patiently waiting for it to makes its way downunder!